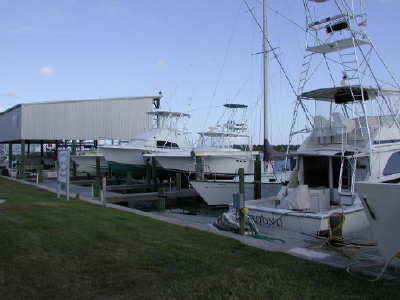 For your boating convenience, we have covered, uncovered, and wet slips with adjacent parking. Each slip is equipped with city water and 2 - 30A/125V receptacles (50A/220V available at an additional charge). Rentals are by the year from January 1 - December 31. Please call the Fishing Center for more information at 361-983-4440.